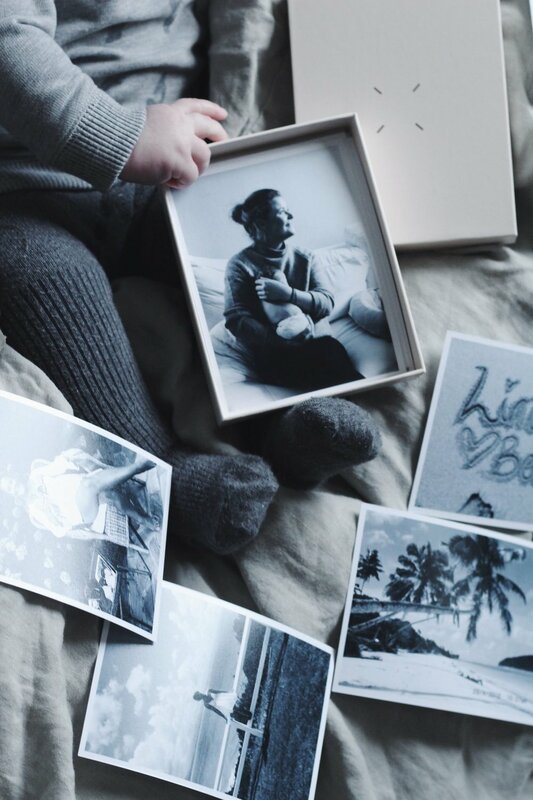 We believe that behind every photo unfolds a story. Therefore we're dedicating a full post to some of our favourite love stories from our community. Let's get carried away by the love and enjoy! ”This is Stefan and I. We met two years ago in Cape Town through our shared love for kitesurfing. I’m lucky to share my biggest passions in life with him and my favourite moments are those when we go for a surf together, just him and me and the sea. We are lucky to being able to travel the world together and spending so much precious time with each other. Stefan supports me in a very special way, and still after two years, my heart beats faster every time he turns around and look at me. "A picture is worth a thousand words - It’s an expression I really like since it describes my love for photography. And the love of my life was literally discovered through the camera lens. I was 21, he was 26 . I remember it so clearly and it was not love at first site, to be frank. But Esben was very determined and did not give up - eventually we went on a date. It was as if he knew already, that it was him and me. He contracted a deal with a publishing house and asked me to be the model for a book cover. I was only going to hold an elephant in my hands with the camera focusing only on that. Elefants are symbols of happiness and that day I held our happiness in my hands. Since then, it’s been us for 18 years. We both share the love for photography and to immortalise life with each other and our daughters. But it’s not only the act of capturing these moments that I value, it’s the photographs in themselves. As they grow older, they keep on telling all these remarkable stories of our everyday life and I feel thrilled knowing that they will live on through our daughters. It’s the magic photos encapsulate that makes me love the act of capturing them. So this is both a declaration of love towards the photo but also to my husband with whom I see the world though the camera lens with. If there is one thing I never doubt in this world, it’s us! "I love Lina, she's the most beautiful friend you can imagine. Although we have lived in different cities for a few years and don't talk as often, we always know where we have each other. We have traveled and discovered parts of the world together and share so many wonderful memories. But my best memory with her was when she met my daughter for the first time. To see someone be so touched and happy for one's sake is really what true friendship and LOVE is all about. 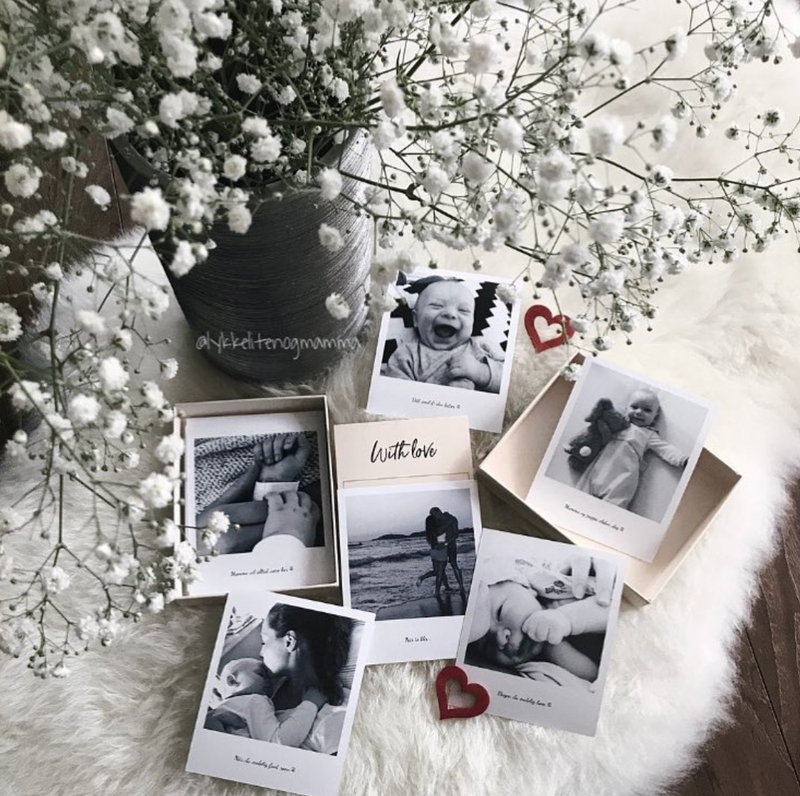 I want to give her a Memory Box filled with moments so that she can be reminded of all our wonderful memories. "I love Leonie, my best friend, my soul. What’s so special about her is the fact that since we met 9 years ago when working at the same restaurant in Norway, there’s been something cosmic about our relationship. After only knowing each other a short while we ended up traveling Brazil for 3 months. Since then it’s been us. For many years we lived apart until we finally ended up in the same city, shared an apartment for two years until we found our other soul mates and husbands to be. We still live nearby, sharing the same interests with a bond still as strong as it always has been. To describe it shortly, she is family to me. And this summer she is getting married. I couldn’t be happier to be there to share this day. For the love of life with her, I’d like to dedicate a box of love. Simply a Memory Box filled with amazing love stories that we’ve shared through out the years of soul-like friendship. "Love. I'm so happy to have Mats in my life. My partner, my best friend and now also my partner at work. You simply make my everyday life better, easier and happier. Thank you for that! "My son is my favorite human being. From the very start my test showed positive - I loved you right away, you made me feel that i could do anything, nothing else mattered at that moment. My love for you grew everyday, still i did not know how it would be like, too have you outside of my belly, but i could not wait. Then the day you were born, my feelings exploded - in so many directions, I was so in love with you, little one, but also scared. Scared of all the things that could happen, but at the same time all of these feelings made me strong - for you always! With you by my side, growing everyday into this perfect little human being, I’m so proud. Proud to be your mom. With a few beats of your heart, you changed our lives forever. A love story to a loved one is the most perfect and personal gift, regardless the year. Go tell yours!